Sullivan, Arthur, 1842-1900. Rose of Persia. Cadenza. [The rose of Persia. 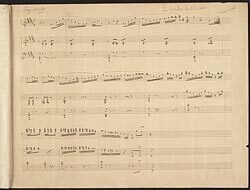 Cadenza]: autograph manuscript, 1899.